Goldman Sachs executive Greg Smith made headlines last week with a public letter of resignation from the legendary firm. Smith’s letter chronicled the ethical decline that led to his departure, and has sparked renewed interest in the culture of unmitigated greed that animates the world of high finance. 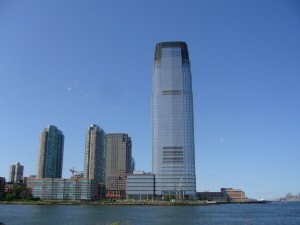 In his letter, Smith refers to a “toxic and destructive” environment, in which profits are the sole concern and clients are routinely referred to as “muppets.” Of course, Goldman Sachs rejects this characterization of the firm, and it didn’t take long for caricatures of Smith’s resignation to begin circulating on the web. Despite these attempts to distract and discredit, the letter serves as a potent reinforcement of America’s deep-seated distrust of Wall Street. The attitudes and practices described by Smith are emblematic of why we had the financial meltdown. Capitalism has become the blunt instrument of unrestrained greed. Cynicism and arrogance reign, while “antiquated” notions of ethical business practices undergirded by a humane morality are rejected as naïve and ineffective. What the disciples of Gordon Gekko’s infamous “greed is good” philosophy fail to recognize however is that a truly free market is impossible without mutual trust. Perhaps they don’t care. After all, they are making money, and life is good! Who cares about honor? What is the market value of integrity? If there’s a house in the ‘burbs with luxury cars in the driveway, a penthouse in the city and the best private schooling for the kids, then the means don’t matter, right? If clients are too dumb to realize they’re being taken for a ride, that’s their problem! Fiduciary duty? That’s a concept that has become passé. America cannot long remain a role model to the rest of the world if the moral fiber that made her a great nation continues to crumble. We tend to assume that we will always be at the top, always be the strongest and always be the best. Not so. If we allow greed, selfishness, and dishonesty to displace the original American virtues of industriousness, charity, and integrity, we are doomed. An often overlooked component that is critical to preserving these virtues is faith. When man places himself at the center of all things, it is easy to slip into an attitude of self-indulgence, covetousness, and hard-heartedness. If, on the other hand, God is at the center, man’s perspective changes. Material comfort and worldly success no longer occupy the positions of highest importance. The state of one’s soul and service to one’s fellow man become priorities. The treasures of Heaven are desired above worldly goods. Sadly, fewer and fewer Americans orient their lives in this way. We are the center of our attention, and are teaching our children to follow suit. The Church, although growing rapidly elsewhere, has long been in decline in the West – and it shows. That our society and culture has been on the decline as well is no coincidence. Goldman Sachs is merely one recent example of a mentality that increasingly dominates every facet of American life. When those at the top echelons of civilization focus only themselves, ignoring the welfare of others and disregarding eternal values – love one another, look out for the welfare of those weaker than yourself, etc. – the consequences are grave. We can either choose to change or insist on doing it “our way” and live with the results. Here’s hoping we choose the path of change.